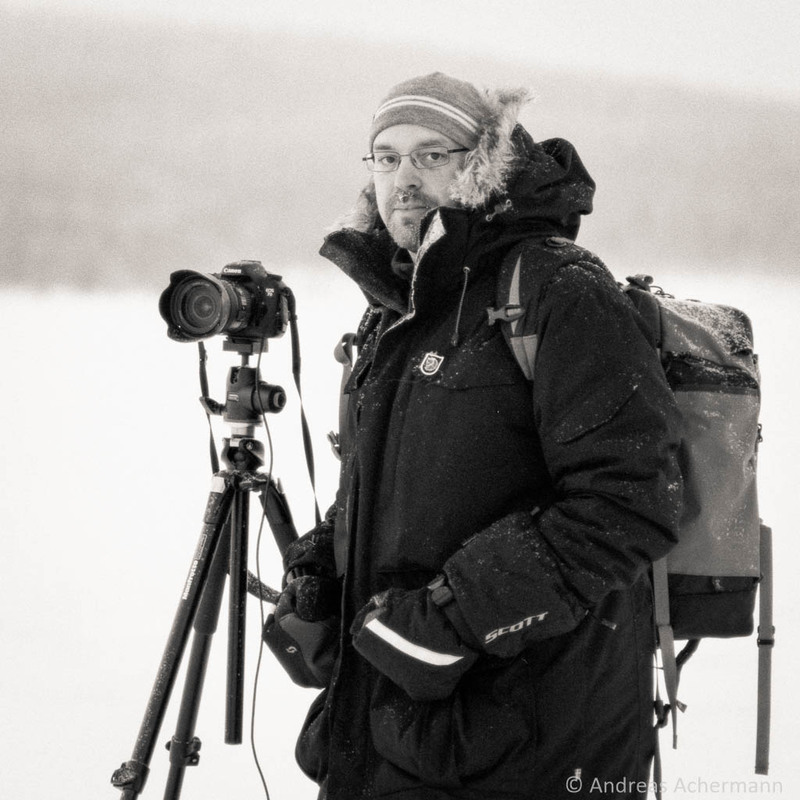 Thomas Achermann is a Swiss photographer based in Muonio, Finnish Lapland, some 160km above the Arctic Circle. He specializes in landscape photography and capturing the amazing Aurora Borealis, also known as the Northern Lights. I was born in 1973 in Lucerne, a lovely town in Central Switzerland on the shore of Lake Lucerne, at the gate of the Swiss alps. My parents had a bakery in the outskirts of Lucerne where I used to ‘help out’ as a little boy – later on I concluded my apprenticeship as baker-confectioner at Conditorei Heini, one of Lucernes leading confectioneries. By the age of 21 I relocated to Locarno, a touristy town at the shore of Lago Maggiore, in the southern, italian speaking part of Switzerland, where I continued to work as a baker-confectioner. By the late 1990’s I made the transition into to IT-business. For the next 10 years I worked in banking environments in support and system engineering, contributing also to large IT-projects in Switzerland and many other countries. In what turned out to be the last working place in Switzerland, I administered the IT-infrastructure of a small trading office in Zurich. In autumn of 2009 I could fulfill a yearlong dream, living in the high north, when I moved to Muonio, a small town located some 160km above the Arctic Circle in Finnish Lapland. 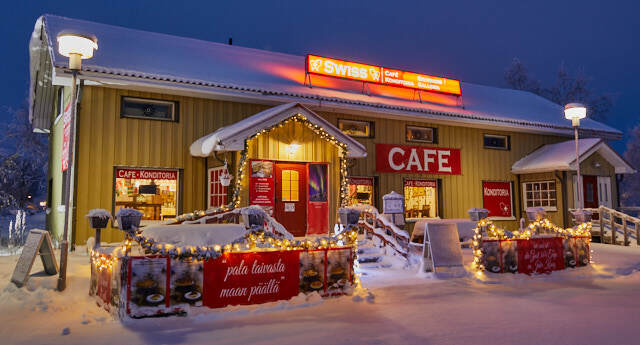 During the first winter season I worked as chef baker-confectioner in a coffee shop in Levi, a busy wintersport center in Lapland who is known for hosting the first FIS slalom competitions of the season. The following summer I attended a Finnish language course in an attempt to better learn this somewhat difficult language. In autumn 2010 I started my own company to promote my photography and also offer my services as baker-confectioner and IT-Specialist. Photography has been a hobby of mine for quite a long time. Influenced by my father, who used to be a photographer in the 1960/1970’s, I bought my first camera when I was 16 years old started to explore the world around me through a lens. When I started traveling years later, my interest in photography was getting much more serious. In 1996 I went to visit Iceland and that was when I got infected with the ‘Northland virus’ – I had left my heart high up north and had to always go back there. My travels over the years took me to places like Canada, Alaska, Norway, Finland and Greenland. I was fascinated by the enormous, unspoiled, quiet and vast landscapes of the northern countries. In winter 2001 I witnessed for the first time in my life these dancing lights in the sky, the Northern Lights. And ever since I went back to Finland in wintertime to meet my good friend Aurora.Today the vast landscape of Finnish Lapland and the absolutely amazing Aurora Borealis are the main subjects in my photography. Witnessing these dancing lights under a star filled sky is simply a mind-blowing experience. You might wonder why this section is on a photographers website? Well, I did grow up in my parents bakery and worked as baker-confectioner in my younger years. Come in and taste the freshly made delicacies with a cup of coffee or Swiss chocolate drinks. A large selection of sweets is expecting you – my famous Sachercake, Carrot-cake, short-bread cookies, Meringue and lots more. Fancy something salty? Then you have to try the smoked Reindeer Pie! And the best of all? Grab a seat at the bar in front of ‘the Aquarium’ and watch me prepare all the delicacies in one of the northern-most show-confectioneries around, way above the Arctic Circle!